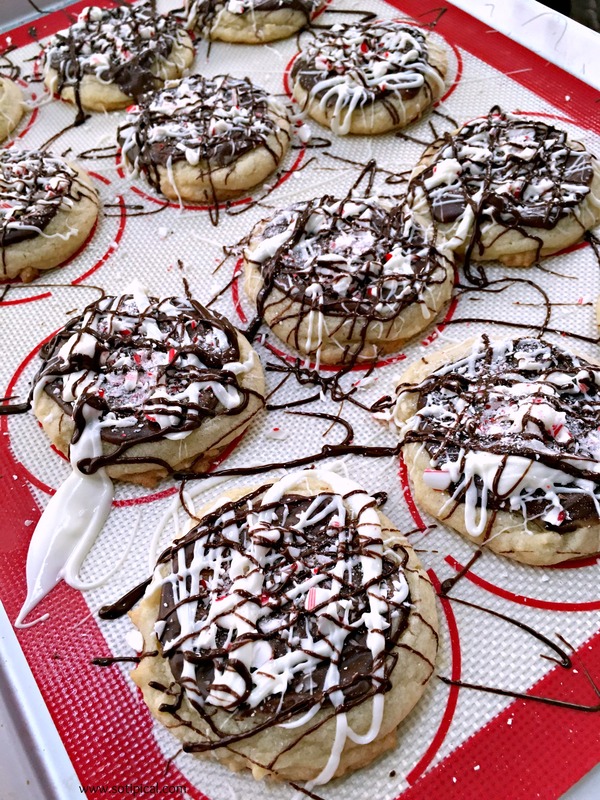 My Easy Peppermint Bark Cookies combine two of our holiday family favorites – sugar cookies and peppermint bark! What could be better?! A couple of weeks back, my girls begged me to buy peppermint bark and cookies during a shopping trip. I didn’t buy either that day, but last week I was picking up some Betty Crocker® Cookie Pouches at Walmart and while deciding how to decorate the cookies, it occurred to me that I could add a layer of peppermint bark! Walmart had at least 2 displays of the Betty Crocker® Cookie Pouches, in addition to the baking aisle. I picked up a few pouches to have on hand as the busyness of the holidays draw near. 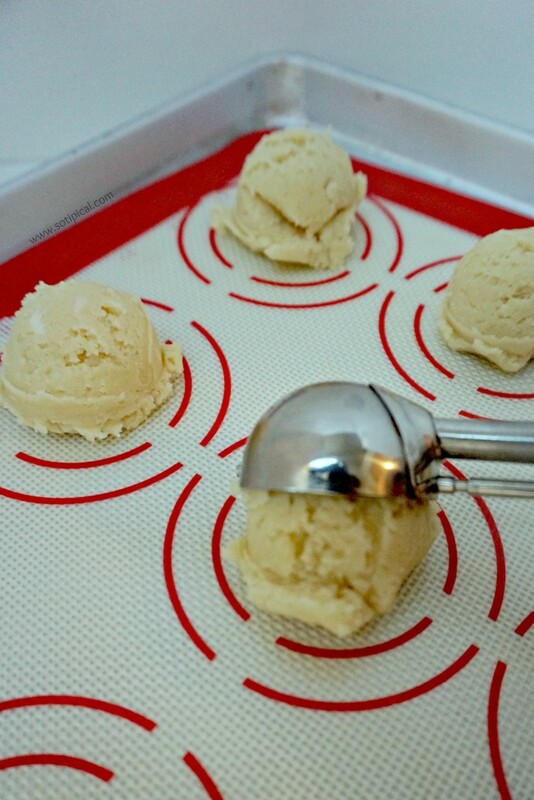 Its easy when you need to whip up a batch of cookies at the last minute and is a real time saver! Fast forward a week since I came down with the flu that night and never did any baking. I am finally feeling better this weekend and decided to make the peppermint bark cookies and lets just say I have quite the fan club today! Bake cookies for about 10 minutes, according to package directions. While baking, unwrap the creme de menthe chocolates and set them aside. Then unwrap the candy cane(s) and crush them in a plastic zip bag. 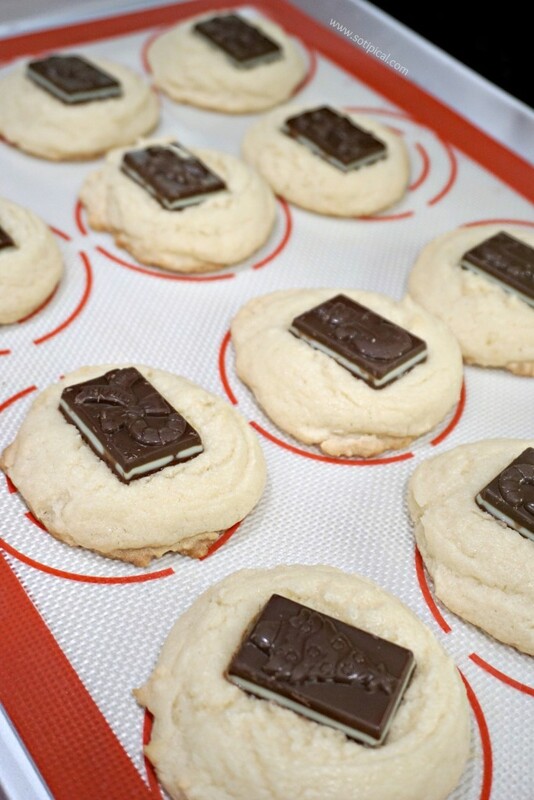 As soon as you remove the cookies from the oven, place a chocolate candy in the center of each one. Allow to sit for a few minutes, but I was in a hurry, so I actually popped the pan back in the oven (which was turned off by now) for about 30-45 seconds. The chocolate candy softened right up. You will now spread the melted chocolate over the cookie with a butter knife or even the back of a spoon, to coat the top of the cookie. Now I forgot to snap a photo of this step, but you can see an example here in one of my older posts. 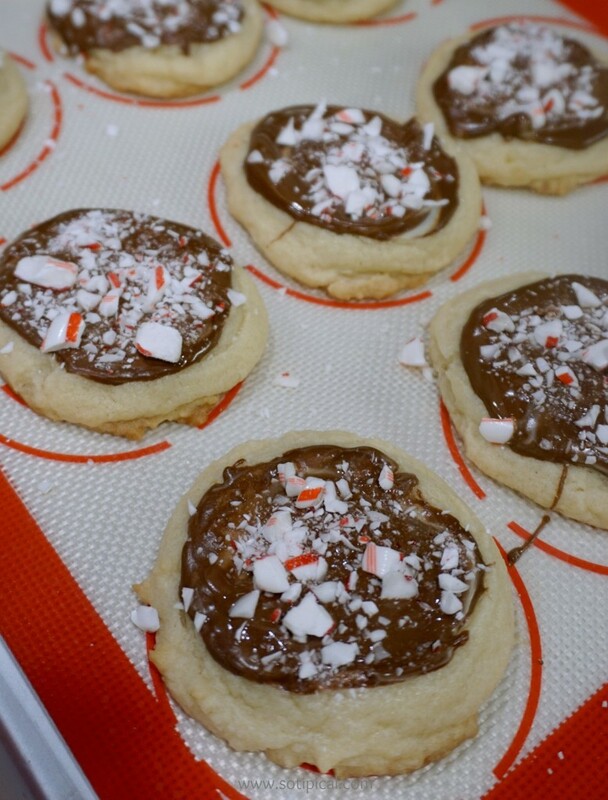 After the chocolate is spread over each cookie, sprinkle the crushed candy cane over the top of each cookie. The cookies now need to cool completely. The chocolate also needs to set and firm up. I would wait at least an hour, though I waited about 3 hours. (No particular reason other than I had errands to run.) Melt the white chips in a microwave safe bowl in 30 second intervals, stirring in between. It should not take more than 1 minute to melt 1/4 cup of white chips. Stir with a fork until smooth. 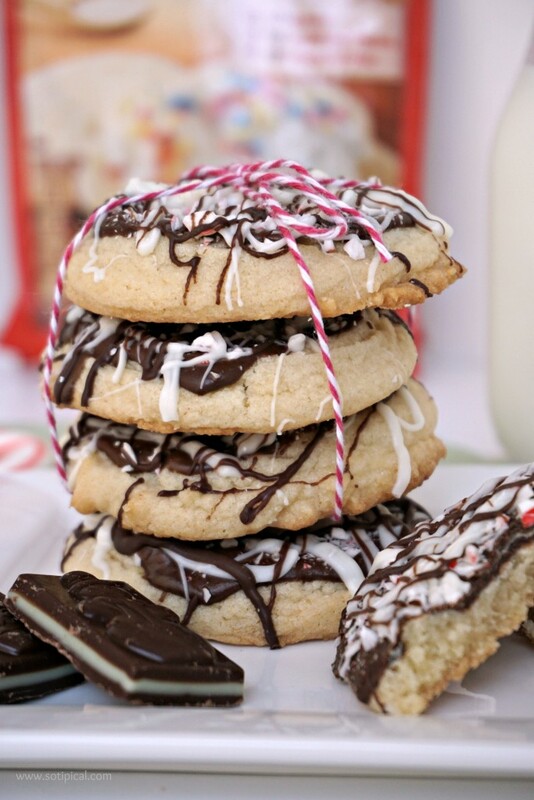 Drizzle the melted white chocolate over the cookies in multiple directions. Then do the same with the chocolate bark. Allow both layers of drizzled chocolate to firm up before removing from the baking sheet. Store in an airtight container. 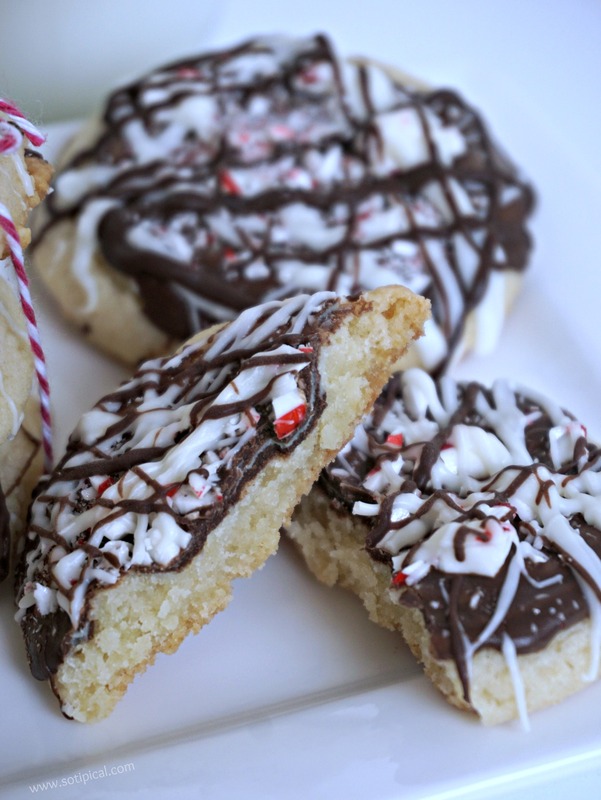 These Peppermint Bark Cookies are probably one of the best cookies I’ve made in awhile! Very big hit! I’m going to make them again for a holiday gathering and I know we’ll find a few more reasons to make them after that! I think they’d even be great for Valentine’s Day too. So who says holiday family baking traditions can’t be “semi-homemade”? We are a busy family and while its great to pull out the flour and grandma’s old recipes, but you know what? I want to spend more time enjoying my family and our time together, than I do in the kitchen. I have teens and we’ve become more aware than ever that their time at home is limited. We love traditions and we love the holidays, but we love our time together more! Remember, Betty Crocker® Cookie Pouches only take 10 minutes to bake! 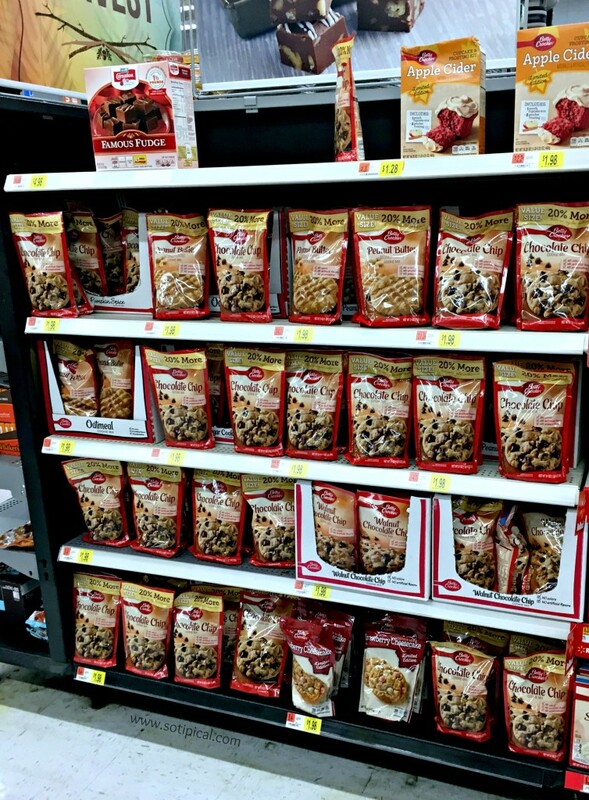 Grab a few cookie pouches from Walmart to keep on hand through this holiday season! I’ve noticed new flavors that I haven’t seen before! 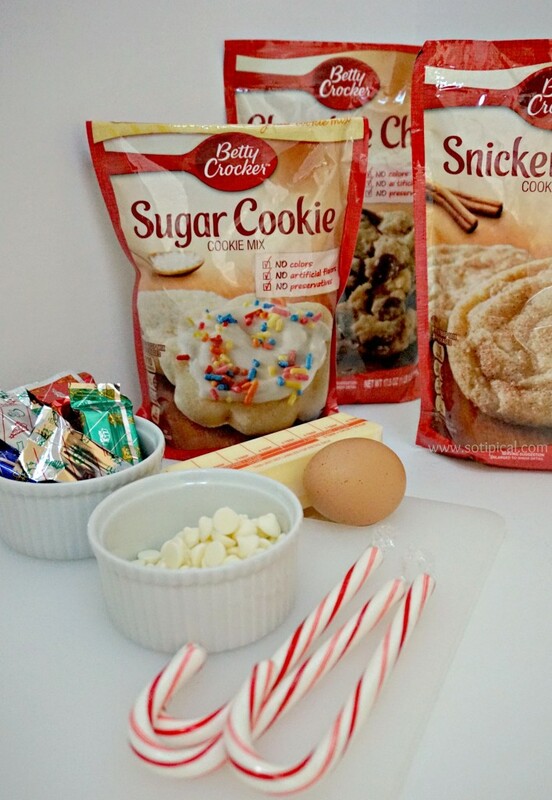 Which Betty Crocker® Cookie Pouch variety will you try next? Let me know in the comments! I was just thinking that I needed a good holiday cookie for my neighbors. This is it! Thank you! They really are so yummy! I’m already planning to make them again! These cookies sound so good. 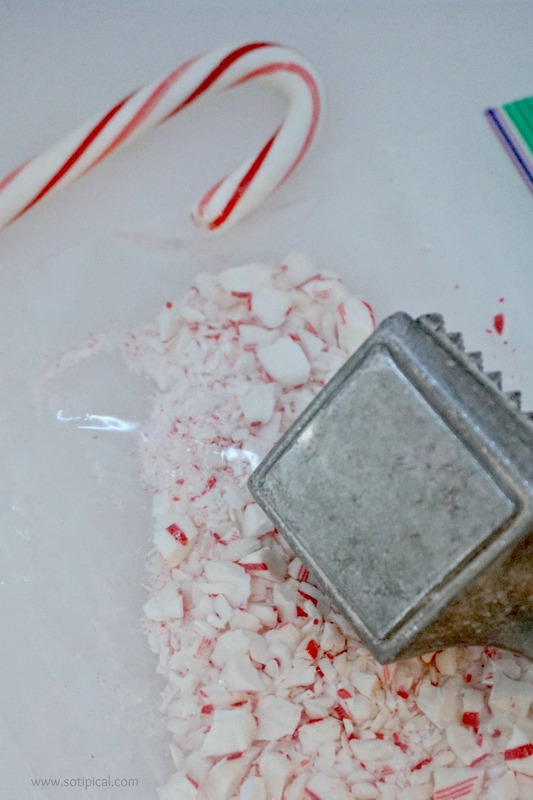 Peppermint is one of my favorite flavors – year round! And these look nice and easy, besides looking delicious! Thanks for the link to the sales for Betty Crocker as well! I haven’t baked cookies in so long, and this just makes my mouth water! To the oven! How delicious do these look. Love me a good Christmas cookie! These look so yummy! Would be really fun to do with the kids and sneak tastes of each ingredient! I LOVE these!!!! What a great way to mesh two great sweet treats! Cant wait to whip some up! I love a good holiday cookie! Peppermint & Chocolate is one of my favorite Christmasy flavor combinations, adding it to a sugar cookie? Now that was a stroke of pure genius on your part!! These look delicious! They are so pretty too! I love Betty Crocker cookie packs! They taste like homemade but they are super simple to make! You are very creative, I think your peppermint bark cookies look amazing! These will be perfect for all of the Christmas parties we have this year! I love this idea… yum! What exactly is the bark? I want to make these? In this case, the bark is the melted chocolate candy with the crushed candy canes. You can use something like Andes candies, as shown above, then sprinkle the crushed candy canes on top before the melted chocolate sets. Hope this helps!